The Walks of Life pack is just what any presenter needs, with lots of useful career outfits with matching props, for everyday and occupational projects. Inside you will find complete clothing including; upper, lower, shoes and tools which you can easily interchange. You will also notice that these character parts have curvier looks and proportions, making them ideal for professional applications. 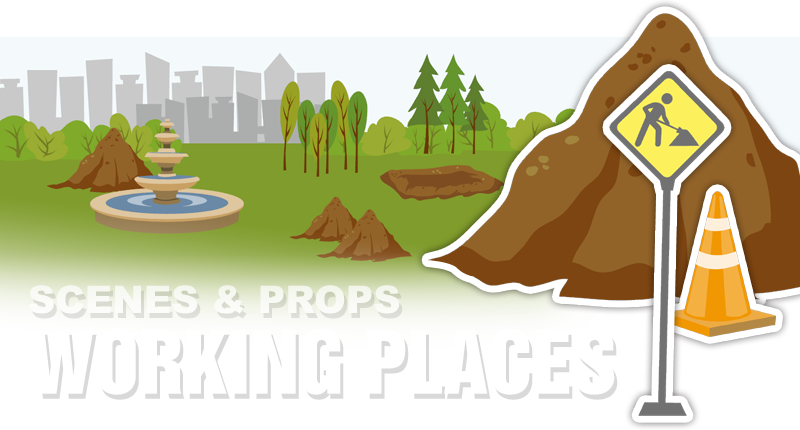 Get to work, build your sets on the fly, and get your project finished by today! With this must-have pack that includes 6 editable scenes, with their own equipment, for use in any practial workplaces. This pack is an ideal match for the G2 Body Composer Kit, as it provides you with various working spaces like a fully-featured departure gate and an airplane cabin for use in any in-flight safety videos, or an outdoor construction site for building proceedures and more. But what would a mega animation pack be without special effects? Take your presentations to the max, and let this pack save you all the effort as it contains everything you need to highlight demos!  Get tons of eye-catching effects, comical in style, all animated to help you tell the difference between a boring presentation and a CrazyTalk one! Want to dazzle your audience? Wish to sign that juicy contract? Well then let's create that monster presentation that will win you notoriety and cheers. Well... maybe not cheers, but you will surely be remembered with this awesome animation pack complete with 2D and 3D motions for multi-dimensional characters. 33 ready-to-projects are professionally animated and well-organized in 4 key categories to fulfill your presentation needs.